Want a second opinion from an MS Specialist? 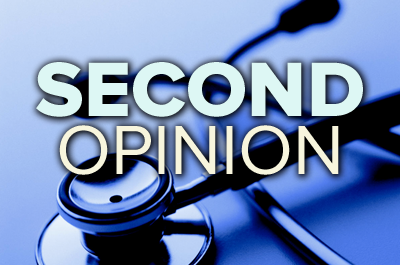 STEP 1: You MUST ask your PHYSICIAN (it can be either your neurologist, primary care doctor or other physician treating you for your MS) to request a second opinion from HealthCare Journey in order for us to provide a second opinion. This is REQUIRED BY LAW. STEP 4: E-mail us at adminhealthcarejourney.com to let us know that you would like a second opinion and provide your CONTACT INFORMATION so we can reach you if necessary. Revere (Rip) Kinkel, MD has over 25 years of experience treating Multiple Sclerosis patients. He is currently Director of the multiple sclerosis program, Director of Hillcrest Neurology, and Professor of Clinical Neurosciences at the University of California, San Diego. He was previously Division Chief and Director of the multiple sclerosis program at Beth Israel Deaconess Medical Center/Harvard Medical School from 2002 to 2013 and Medical Director of the Mellen Center for MS treatment and research at the Cleveland Clinic Foundation from 1995 to 2002. Dr Kinkel serves on the national advisory board of the National MS Society and as medical director of the Accelerated Cure Project, a non-profit organization devoted to facilitating international research into the cause and management of MS. Dr Kinkel has over 120 publications in peer reviewed journals and books. Most recently he completed the longest investigator initiated trial of early therapy in MS, spearheaded a ground breaking MRI research program on the role of cortical demyelination in Multiple Sclerosis and developed the use of internet portals for the remote management of MS patients. His clinical and research work remains entirely focused on MS and he maintains a very active full time clinic in addition to his teaching, research and administrative responsibilities. The number for his clinic is (858) 822-5861. Disclosure: Dr Kinkel has received honoraria in the past 5 years for serving as a scientific consultant or speaker for the following companies: Avanir pharmaceuticals, Acorda, Biogen Idec, Genzyme, Ironwood pharmaceuticals and Teva. He has received research support in the past 5 years from Biogen Idec, the National Multiple Sclerosis Society, the National Institute of Health and the Department of Defense. Dr Kinkel does not own any stock or serve on any boards of pharmaceutical or medical device companies or any insurance companies. He is the Chief Medical Officer of the Accelerated Cure Project, a non profit organization dedicated to researching the cause and treatments of MS.